They were using me as a source of protection! Was this a good thing? Or even a dull stick, it'll have the same effect. 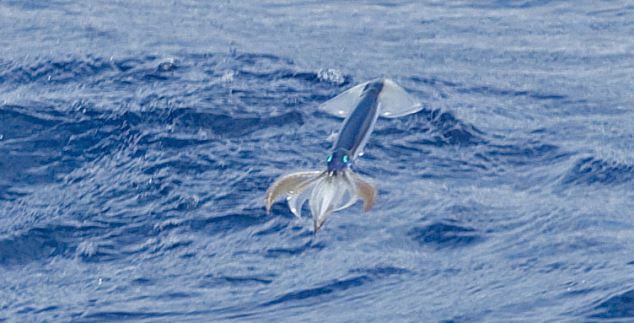 A British photographer captured a particular type of squid which use jet propulsion to leap out of the sea and fly up to 65ft. The squid actually fly looking backwards, with their tentacles dangling behind them and fins acting like wings, keeping them balanced in the air. FACT OR FICTION: CAN A SQUID FLY OUT OF THE WATER? To escape predators in the ocean, these cephalopods will speed away by shooting a jet of water. But can squid use that behavior to take to the air and control their trajectories? Marine biologist Silvia Maciá was boating on the north coast of Jamaica in the summer of 2001 when she noticed something soar out of the sea.... It was a squid—and it was flying. GREENFIELD, Calif. -- A big rig carrying 15,000 pounds of squid turned over in a field of broccoli early Tuesday after crashing into a ditch outside Greenfield. It is unclear where the truck carrying the squid was coming from or headed.... It is unclear what caused the crash. My Dear Sir: — The following account of a remarkable marine monster, which made its appearance off the shores of this island, and of a severed arm or tentacle of the same, now in my possession, will I dare say be interesting to you, and also to Prof. Agassiz, to whom I should like to offer it. Paul, the octopus who became a pop culture sensation by correctly predicting the outcome of as many World Cup matches as he has legs — all seven of Germany's games plus the Spain-Netherlands final — is going to retire. A famous Newfoundland sea monster will soon occupy a space normally reserved for Canada's Queen. 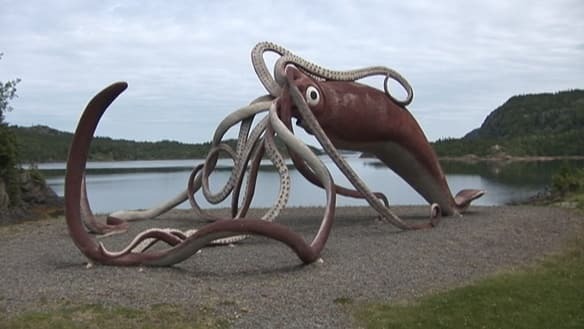 Glover's Harbour's giant roadside squid statue has been chosen to appear on a new Canadian stamp. If it’s us vs. them, it sounds like they’re winning. What worries me is, what do they want? Giant squid are taking over the world, well at least the oceans, and they are getting bigger. According to scientists, squid have overtaken humans in terms of total bio-mass. That means they take up more space on the planet than us. 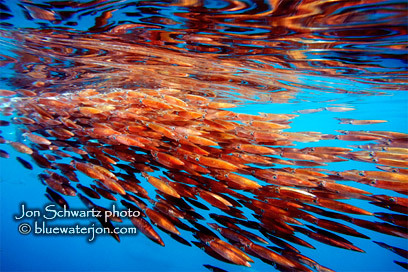 Squid are now regarded as the “major player” in the world oceans by sheer volume alone. Order all the horror at cafepress.com/orderofstnick.194679201. A female sperm whale, carrying a piece of giant squid in her mouth, leads a gargantuan dinner party in the northwestern Pacific on October 15, 2009.